I am really excited to reveal an idea which has been in the planning for a long time. It deals with financial support, the dream to fly and my very first Pilot Patrick accessory. In this blog post, I want to share my potential project with you and I am asking you about your opinion on it. It really is my matter of the heart! 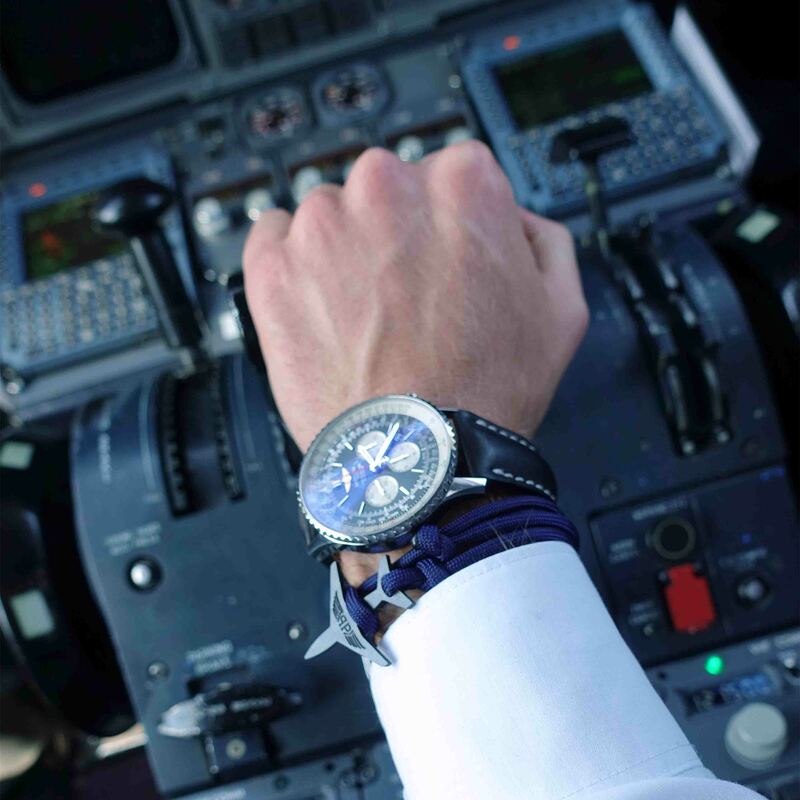 UPDATE: The #aviatorbracelet is now on sale here! A growing audience on social media means automatically more responsibility. People look up to you and you become some kind of role model for them. That means you have the power to share your opinion, advice, and ideals with a huge number of people. For me, it also means that you are responsible to engage in social affairs and be part of a charity project. I have thought for a long time which kind of project I could support, but in the end, I came up with a totally different idea. The idea of this project arose from your ongoing support. I soon realized that you are interested in more than just cool photos on Instagram, so I started my blog. For two years now I am giving you insights of my pilot life and my travels around the world. 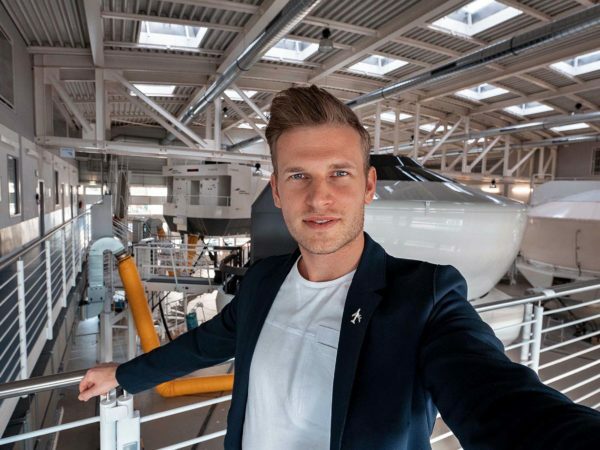 I am also sharing my advice for your aviation career and how you can become a pilot. It made me really sad to hear that many of you would like to become a pilot, but do not have the means to pay for the flight training. Times did not get easier! More and more airlines do not offer a sponsored cadet program anymore, so it became a popular to self-fund once training. The costs are immense. 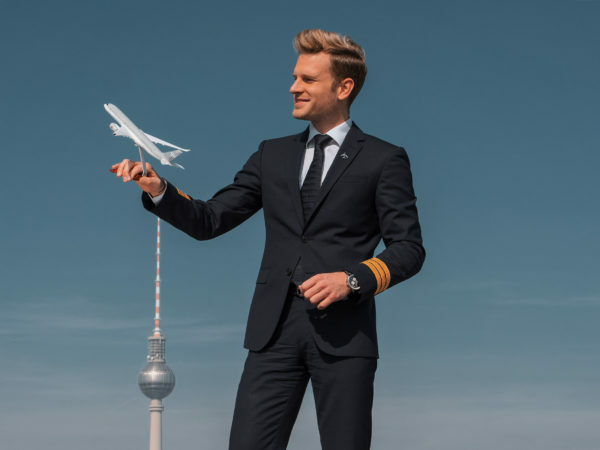 You minimum have to spend 70,000€ for a commercial pilot license. I was in the lucky position that my parents paid for my entire training 10 years ago. Now I would like to support you in your dream to become a pilot. Would you buy the Pilot Patrick bracelet for 30€? I want to support one person to becoming a pilot. I not only want to be the mentor for this future aviator and help him to pass the flight school successfully. Additionally, I want to support this person financially maybe even pay for the full training. But how will I be able to pay for that? I designed my very first Pilot Patrick bracelet. So far I only produced one single version. The unisex bracelet would be available in navy blue and pink. The strap is out of parachute material and the small aircraft with my logo is out of carbon. I don’t want to make money with it, but I want to use my reach to spread my project and to sell it to all my Aviators. The entire profit will go into the flight training. The person could be anybody and I would implement a selection process. Watch my latest YouTube video to see me wearing the bracelet. It is my matter of the heart. That way we can realize ones dream to become a pilot together. It now depends on you. This project is only possible with you and your feedback. 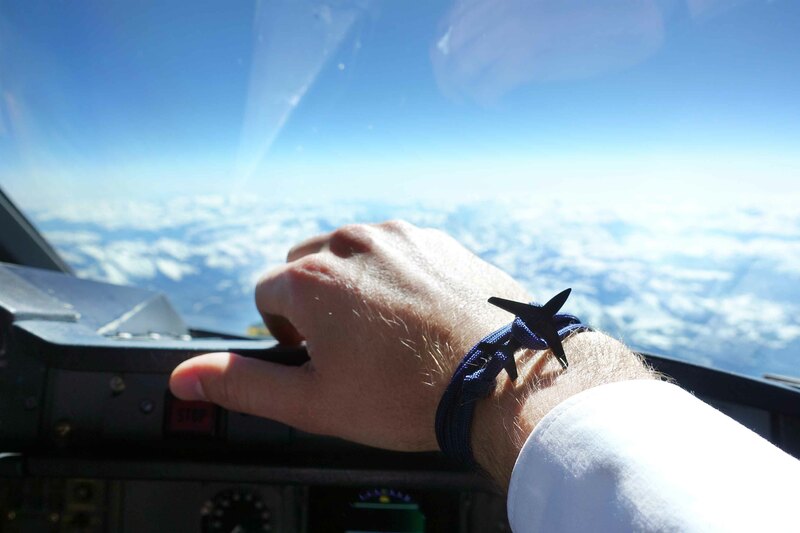 What do you think about it and would you buy the Pilot Patrick bracelet for 30€? It would be available worldwide. As always safe travels and happy landings! Phenomenal idea and I would order one ! Helping somebody hit the dreams is a wonderful gesture ! Nice idea! I think that the project would be a total succes although you should probably sell it on a bit lower price and offer more models so more people would buy it, nice job, love your content, happy landings from Sevilla! I am happy that you so concern about this matter. May your good heart always under Allah protection. I pray that you not only happy n success with your job but also your project will success in the future. So it can help them who want to be the future pilots get their dream come true. Good luck. Wow!! I’m speechless!! You have a huge huge heart! U r not only handsome and one who work really hard and love what he do, but u would like also to help someone in his dream! I can’t describe my admiration for you Patrick! Hey Patrick, l am so surprised that you have such a great idea. It is so kind of you that you will be helping someone who wants to become a pilot by supporting this person financially. It is really a very big project and l think it would be a very successful one if each and everyone of us give our full support to you. 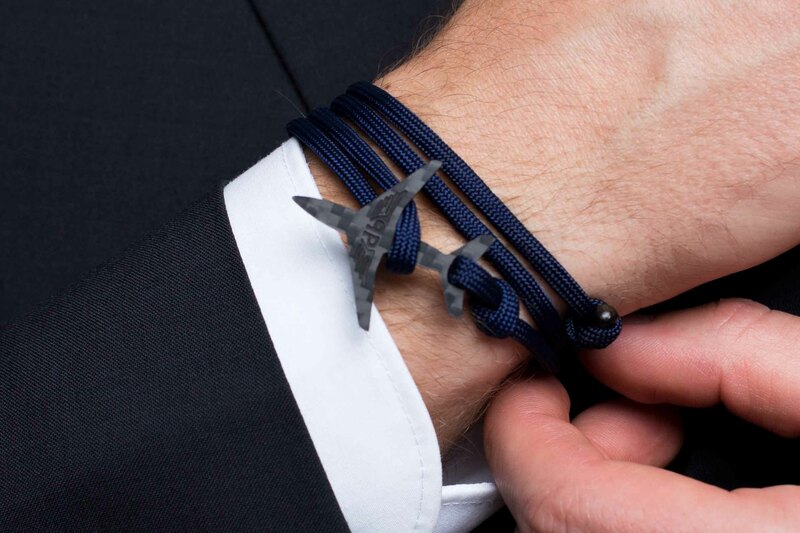 Therefore l would definitely buy the Pilot Patrick bracelet to give you my support as well. It is really wonderful if l could help someone to achieve their dreams. Good Luck Patrick. Great idea Patrick! Help another person accomplish his/her dreams is hard to see nowadays. I have the same vision you have, if am able to become a pilot. What a great heart and will definitely buy the bracelet. Keep going!! I would buy it for 25€ (that’s my lucky number). I want to tell you how proud I am, blessings are going to come your way my Aviator. Let me tell you that I’ve been looking for someone to help me with my flight training for about two years now and it hasn’t been easy. You’re going to make someone really really happy, not because of the financial support, but because you’re going to make a pilot’s dream come true. 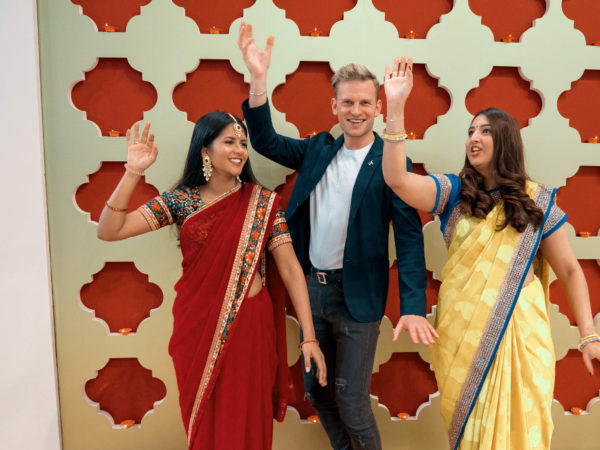 The idea is brilliant and I’m someone who’d love to participate and try to get lucky and be able to chase my dream of becoming an airline pilot. I just think you could lower the price of the bracelet as it’s a bit expensive and it may not sell so well. I would purchase it. I always loved flying but cant afford the tuition per class. Its very expensive. Is a great idea! I would pay for the bracelet. Thank you for makig this decision. 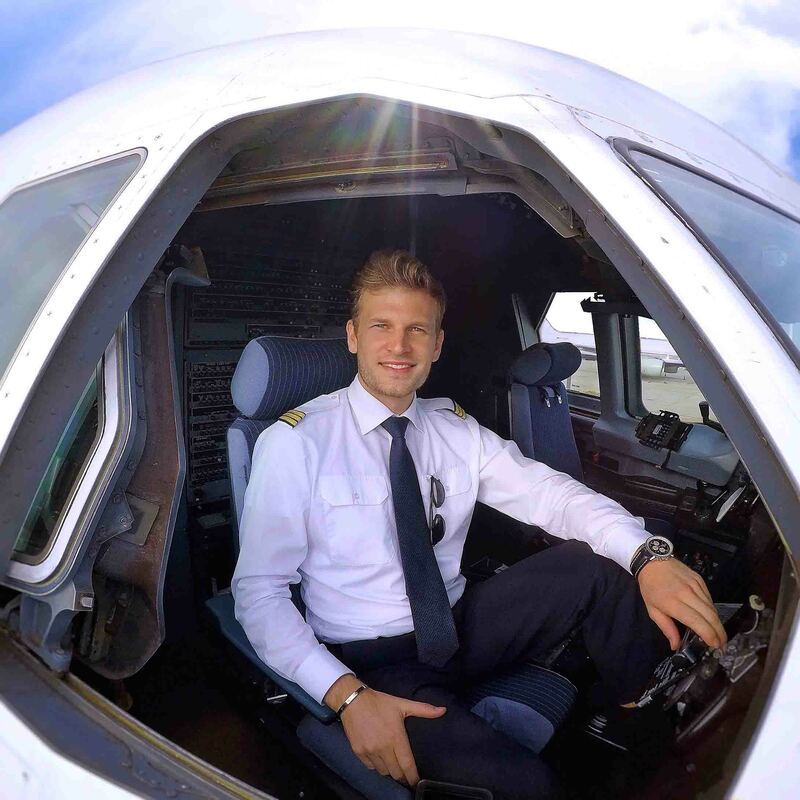 Become a pilot is very difficult in my country, Mexico; omg, there’re many people here who really want to be a pilot, that’s why I feel proud that there’re wonderful people making that dreams possible. Sure would buy it, first its a very nice bracelet and second of all who you will be supporting is an amazing idea. I love how it looks like. I would lovve to buy one! 100% positive! Its a great achievement to help someone who is not able to finance his/her flight training! 100000% yes ! Hi! Pilot Patrick. I am Ravikant from India and I want to know that how much it will cost to ship the bracelet to India and also the price of this bracelet in Indian Currency…? Reply me as soon you can I am waiting I will try to buy this bracelet. Freue mich mehr darüber zu erfahren! P.S Ein Band in der Farbe Rot wäre toll 🙂 Somit könnten deine Kollegen und Kolleginnen, wie ich, bei Austrian Airlines es auch zur Uniform tragen 😉 Danke! Let’s do it pilot patrick, i would order one. I must have it that bracelet with ur logo. I always support that charity. I’m from Indonesia. How can i buy that bracelet? So If that could help someone, I say YES ! I think that it’s a great idea ! I just have some questions about it, how will the selection process be? How can somebody access it? Is it only available in Germany? Thanks. Always I watch your videos think how great it is. I think you has a good ideia helping who has this dream too. I would like be pilot in the future, but sadly this is not for everybody. Go ahead! I will buy this bracelet when available. I actually love the idea. I’m venezuelan, I’m studying Electric Engineering right now, even though my biggest dream has always been to be a commercial pilot, I can’t do it right know because the economical situation in my country is so bad. I consider that there are many people who would like to help someone to achieve his dream, and €30 it’s okay. I love this idea! I fully support this, as I want to become a pilot! I don’t have the money for it but I’m trying to get as many scholarships as I can, and I know how frustrating it is. So something like this would be incredible for anyone! I would definitely buy a bracelet to support this. I would definitely buy this to support someone becoming a pilot. I am a nervous flyer so for me this can also be my good luck charm to relax on a plane knowing I have a well trained pilot. Sir you’re great and your thinking too. By the way the price of bracelet is bit high for me as a student. But ya! I’ll try to recommend one of my friend who wants to become pilot. And sir your idea of paying the whole fees of pilot’s training is so wonderful. Hats off Sir!!!! Will you help my friend who wants to become pilot???? How to buy the bracelet? Hola Patrick es cierto que quieres visitar Cuba? I admire you so much in evey flying on the sky. I wish one day in the feature I come to ur country on ur happy plane. Shinning smile on ur face make all of people happy and cried. It is a tad bit expensive. However, watching a “bar” with the money raised helps egg on people to donate. It’s just a perspective thing; “donate” and receive a bracelet rather than, buy this bracelet at this price and proceeds go to a person wishing to become a pilot. Also people like “a face”. Maybe team up with somone and together rather the benefits together? Overall, find this extremely wonderful of you to do this. 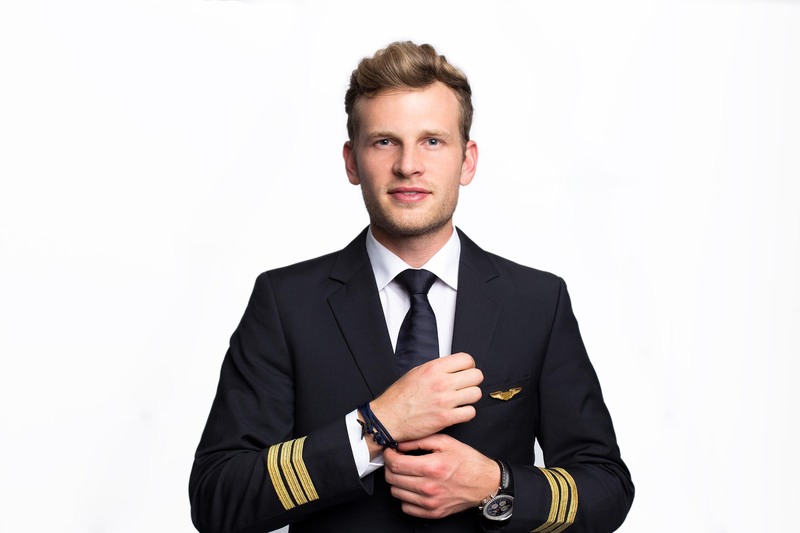 Hello driver Patrick, I am very happy that you have that good heart to help many people to achieve their dream of being a pilot, I support you with the bracelet. By the way as I would like to be benefited from that project I wanted to do my flight hours but I could not because I am of scarce economic resources and because in my country the hours of flight are expensive, by the way I am from Colombia. Hi I’m from Colombia I’m 17 years old and I want to tell you that I support you with your bracelet project and I hope someday you will help me. Such a good hearted person. All the best! Keep inspiring! It is always been a good idea to support others unconditionally, and your idea is one of them which will definitely help someone to chase his/her dream and can make their future far better. how do i buy your aviator bracelet and can you ship it to Maldives.and what will the cost be. pls let me know how much would it cost andhow to buy it. I also loved charity when I could. But unfortunately I can not do it right now. I have a question, is your Pilot Scholarship only for people in Europe? And just a man ? Honestly, I want to know if this includes myself or not? You said that there are steps to choose the person you are looking for. What steps? How can i try to do it? Could you tell me if have read my previus comment or not? Hello Nasim, at the moment I don’t have any further info about the sponsorship!